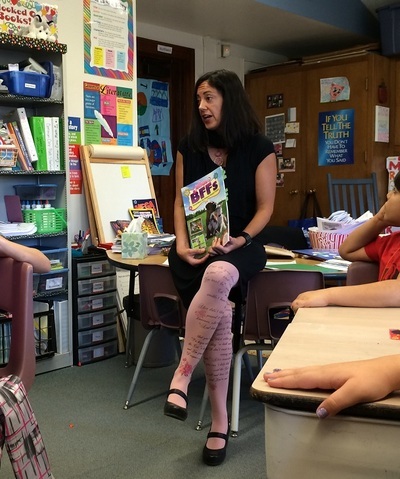 I love talking with children and adults about books and writing and the writing process. I have taught elementary school children as well as college students. I have served as a Reader for a top Literary Agency and love to talk about the editing and revising side of writing. 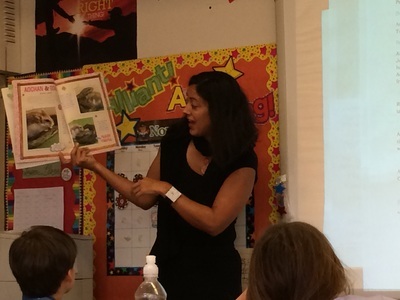 Speaking engagements are a wonderful way to promote literacy and the love of books and learning. I am happy to visit schools, libraries, workshops, conferences, and other writing/reading venues. What fun to celebrate Love of Reading week with the students at Tucson Hebrew Academy. Thank you for sharing your stories and keep reading and writing! A great evening in The Copper Room at the Hotel Congress to launch the University of Arizona College of Medicine's current issue of Harmony Magazine. The night started off with a reading by award-winning writer Alison Hawthorne Deming, Deming, a 2015 Guggenheim Fellow, read from her latest book of poetry Stairway to Heaven. Thanks to River Ridge Elementary School for a great visit. Everyone had great questions and I heard some wonderful animal stories! Thank you for being a GREAT audience! I met a lot of long-time fans of Animal BFFs - and was thrilled to have students bring in copies they had at home for me to sign! AND I got to meet Clifford! 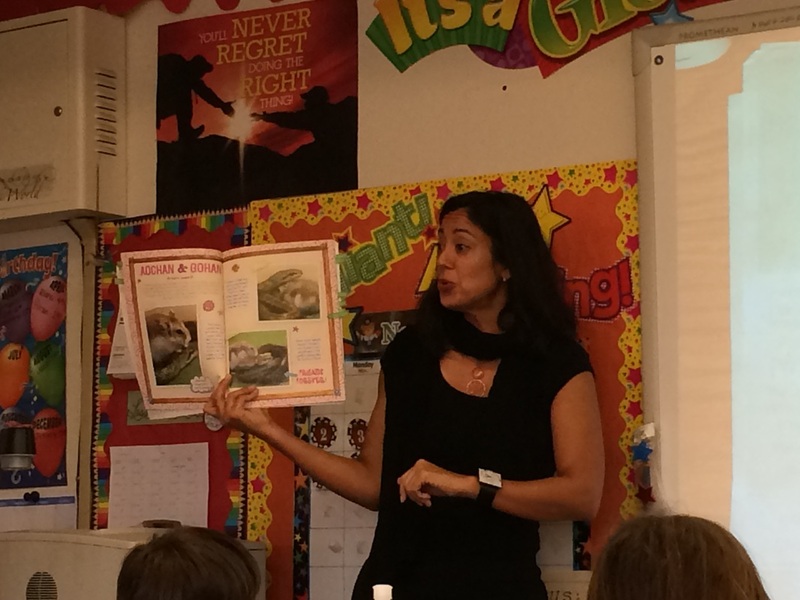 November, 2014: Thanks to Mrs.
great class visit I had! We talked about the writing process, editing, revising (I have adopted their great phrase "Sloppy Copy" for drafts of writing that I write by hand and mark up! ), the whole world of writing. Such great questions led us to a lively and engaging discussion. I look forward to their class book project - and hopefully working with them on a Little Free Library in the spring. the animal artwork they did! me to your first Scholastic Book Fair! to the many Kindergartners and First Graders for some lovely artwork and cards. I loved hearing everyone's great stories and questions! 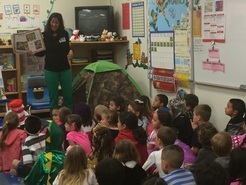 March, 2014: A BIG thank you to librarian Jill Wadsworth and everyone at Ventana Vista Elementary School. 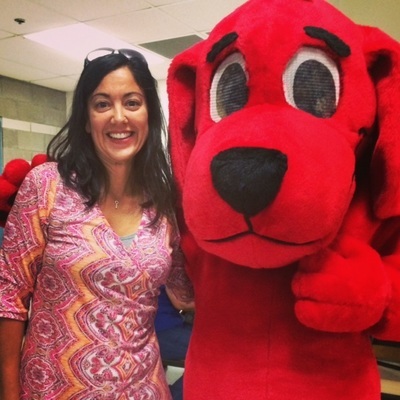 Thanks for a warm welcome and inviting me to be a part of your Love of Reading week! their beautiful library - which has a giant new "Be Kind" mural! March, 2014: Thanks to Copper Creek Elementary School for a great visit with grades K - 3 during their Scholastic Book Fair! 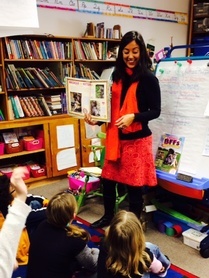 ﻿February, 2014: I visited the 4th graders at Windsor Elementary School in DeForest, Wisconsin. It was a very warm welcome in the freezing weather...the first time I've been in "0" degree temperatures! The students had great questions about writing the world of books. attending a Scholastic Workshop. I met a great group of women and admire the long hours and hard work they put in to create fun, successfulBook Fairs for the students! Special thanks to Lisa Maher for inviting me. time reading to and talking with the third grade classes. I heard many fun stories from the students and had the chance to answer all their great questions! Scholastic Book Sale in De Forest, WI on May 13 & 15. This was a great opportunity to meet teachers and librarians from several Wisconsin communities! 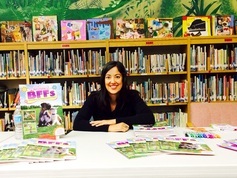 A great night signing books at Twin Peaks Elementary School's annual Literacy & Author night. 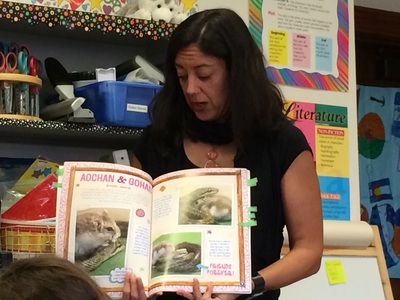 (April 25, 2013) I met a lot of fans of Animal BFFs - thanks to Carrie for organizing a great event and reading the book to many of the Twin Peaks students! And thank you to all the students who shared their favorite animal pairs with me! WEMTA conference in Madison, Wisconsin on April 7th. 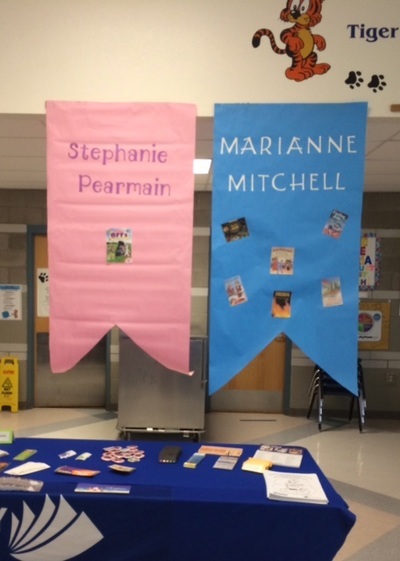 This was a great opportunity to meet teachers and librarians! 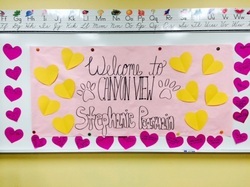 Thanks to Copper Creek Elementary School for having me come to visit some of their classrooms on March 11th! This photo was taken in their BEAUTIFUL library during their Annual Author Night, March 12. Sunday, March 11, Panel at the Tucson Festival of Books "Ties That Bind": Caring Animal Relationships"
I joined Jean Ekman Adams, DeAnn Melton, and Ellen Cook. Thanks to Wayne Corapi for moderating. Later that afternoon I signed books at the Society of Children's Book Writers and Illustrator's booth. 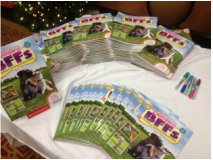 Throughout the day I met a lot of wonderful young readers - and even a few that had purchased Animal BFFs at their Scholastic Fair! Thanks to Painted Sky Elementary School for having me visit some of their first, second, and third grade classes and then hosting me at their Annual Author Night on March 4th! After a great visit to Kennedy Elementary in Madison, I enjoyed some time in the snow - walking on frozen lakes, sledding, ice skating, and skiing! Thanks for a fun snow day, Madison!!! everyone's favorite animal pair and answering all the questions from the audience. And thanks, Presidio School, for the wonderful letters and pictures you sent after the reading! The best part of this day was meeting teachers from around the city and hearing about the great work they do. 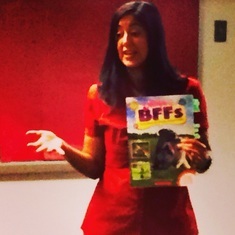 I also met a lot of Animal BFFs readers of all ages who shared their favorites with me! Very exciting to see piles and piles of Animal BFFs!